Batcha agreed to this. Three times he swore a mighty oath not to tell any one how he had entered the cavern. 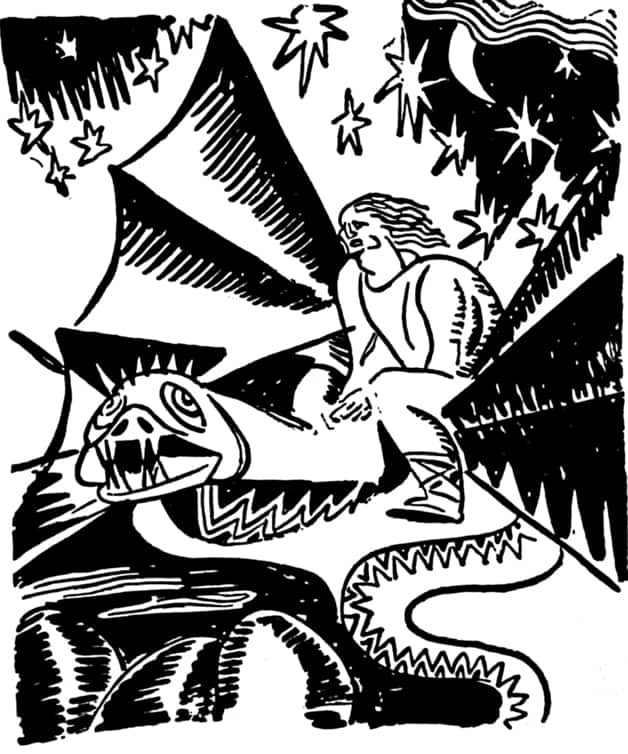 “On, on they went, whizzing through the stars of heaven.” Illustration by Jan Matulka, published in The Shoemaker’s Apron by Parker Fillmore (1920), Harcourt, Brace and Company.